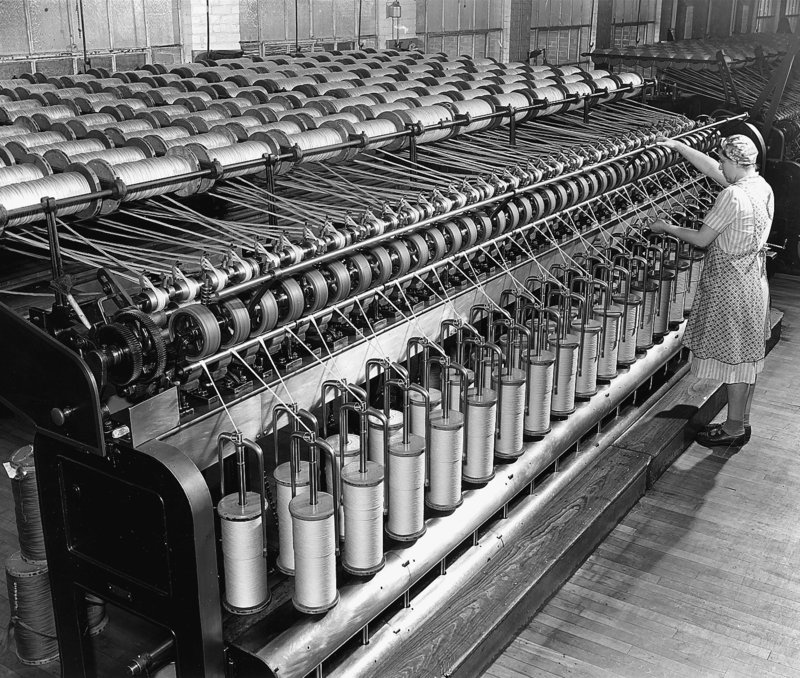 Forty years after the closing of Pittsfield’s woolen mills, one textile mill stayed in operation – the Rice Silk Mill on Spring Street. Its origins, though, were in the woolen industry, starting out in 1876 as the Farnham and Lathers Woolen Mill. Perhaps it was the competition of 11 other mills in the city or just another of the recurring recessions in the late 1800s, but, by 1887, the wool company had failed. William B. and Arthur H. Rice bought the complex for $3800 for their mill that they had started at the corner of Linden Street and Robbins Avenue. Here they produced the finest of textiles – silk and mohair. Three adjoining brick buildings housed the offices, storage and the different operations for the silk, including spinning, braiding, finishing and dyeing. A braid mill for the mohair took up a fourth, separate building. Launching after the Civil War meant that the mill was not reliant on water power, and therefore did not have to abut any of the city’s rivers. Its power came from a coal-fired steam plant. The plant grew fast, with employment expanding from 125 operatives in the 1890s to 250 in 1915. Its reputation for fine, unique thread and braids products also grew, and earned a distinctive name for its line – the Rice Braid. Its products were sold for uniforms – government and commercial – worldwide. The Rice family owned and operated the company into the 1980s when it sold to a New York firm that had supplied it with its silk fiber for years. Subsequent owners operated the factory until 2006 when it closed and let go the remaining 100 employees at the facility, moving its operation to South Carolina. ELC Industries bought the company and continues to produce its Rice Braid, crediting its A.H. Rice forebears. The complex at the corner of Spring and Burbank Streets only lay vacant for several years. After a series of complex negotiations, the mill buildings were converted in 2012 to residential apartments operated by Berkshire Housing Services at a price tag of $15 million, the bulk of which came from the Massachusetts Department of Housing and Community Development.